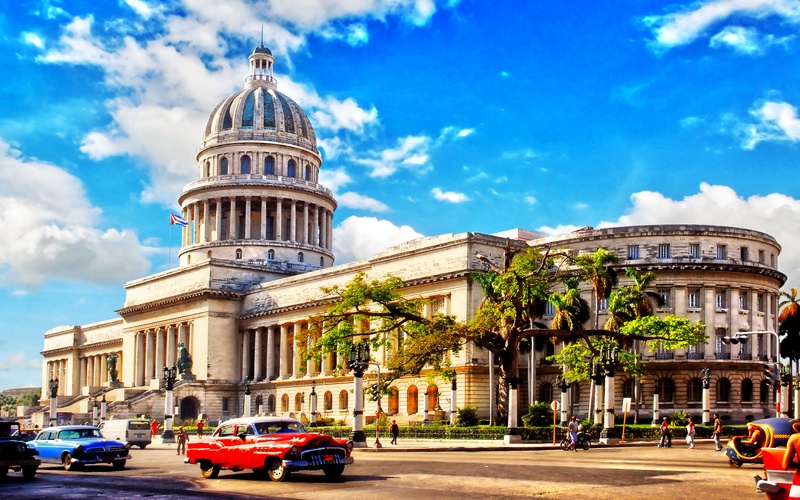 From being the only country Americans need government permission to visit, to Fidel Castro writing a letter to President Roosevelt, Cuba is packed with interesting facts. The country is filled with history and is definitely worth visiting at least once in your life. So whether you’re planning a visit or you’re just learning up on the country, here are 5 crazy facts about Cuba you don’t want to miss. If you only want to sit back and drink a nice cold glass of Coke, don’t visit here. Cuba is one of only two countries where it is forbidden to sell Coca-Cola products. Every month the U.S. pays $4,085 for renting Guantanamo Bay. However, although they continue to receive the checks, Cuba has refused to cash them. In 1962, Fidel Castro personally allowed one Jewish butcher to remain open to serve the people practicing Judaism. However, although you can visit, don’t expect to make a purchase. Another mandate the government has instituted is the meat sold can only be sold to Cuba’s Jewish population. Although it may seem crazy, one of the first things Fidel Castro did when he rose to power over 30 years ago was to destroy every game of Monopoly in Cuba. It doesn’t matter who you are or where you’re from. If you visit Cuba, you will have to pay a $25 Departure Tax when you leave. This must be paid in cash, and it can (and will) cause you problems if you do not have the money on you. So be prepared and have the extra cash available.